It’s really hard to put into words just how much we loved this day. 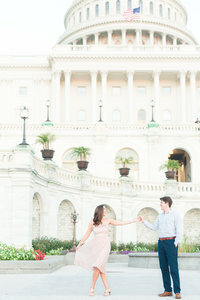 Tim + Caitlin’s entire day was overflowing with joy on such a beautiful fall day! It was the kind of weather you dream about for a fall Wedding! Warm in the sun with just enough chill in the air to be comfortable around a fire. The morning buzzed with excitement. When we first arrived at the house were Tim and his groomsmen were getting ready, he immediately came outside out to greet us! It was really cute – he clearly couldn’t wait to get the day started!! The Bridal Party and their parents got ready for the day just down the road from Bold Rock Cidery at Rodes Farm at two separate houses, which were both tucked into the countryside of Nellysford, Virginia. Ruby was “one of the girls” with us all morning giving kisses and posing with the perfect open-mouth smile! Haha!! Also these blue and white PJs are the CUTEST!! I loved every second with these best friends this day! Caitlin did so much of the decor and planning herself! 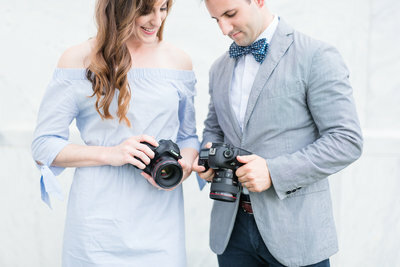 We normally always recommend having a planner to help with Weddings, but Caitlin has been so well-organized, detail oriented and she used her creative talents perfectly in so many areas of this day!! I mean look at how awesome this Champagne bottle is that she hand painted!! It was a collage of their Wedding Date, #chapelofapple, the mountains and more!! It was super cute!! Caitlin and her sweet Mom have such a loving relationship! These two were excitedly giggling together and hugging each other all morning. They could be sisters couldn’t they?! This dress was made for Caitlin!! The layers of lace detailing and the buttons running down her back just fit her perfectly! 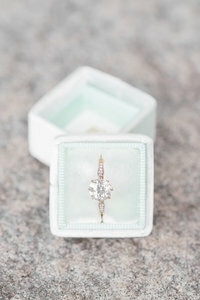 Her details included wearing her grandmother’s ring which had been passed down from bride to bride to wear on their Wedding days. Caitlin also had a charm of a pair of scissors tied to her bouquet. This was a tribute to her great-grandmother who used to sew all of her halloween costumes growing up. As soon as Caitlin was ready, we started our rounds of First Looks! First with the bridesmaids, then with Dad, and then finally with Tim. 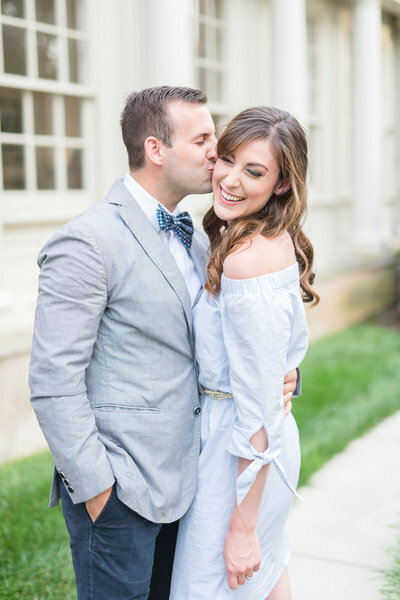 Tim + Caitlin were introduced by their mutual friend Ted who knew they’d be perfect together. Ted, and his now-wife Maggie, invited the two of them to a happy hour at Curbside right here in Richmond, Virginia! They hit it off so well that Tim offered to drive Caitlin home that evening. Caitlin gave him her number and the two of them made dinner plans. Tim knew she was the one from that night!! They became inseparable after that and even toughed out long distance when Tim had to move from Richmond to Norfolk for school. One of my favorite things about Caitlin is that when she smiles — she SMILES. Especially when Tim makes her laugh!! Her true smile and laugh is when she crinkles her nose and it’s honestly the cutest thing ever!!! I don’t think she or Tim stopped smiling all day. Their joy was contagious! On a chilly weekend in November while they were still long-distance, Tim came back to Richmond to spend some time with Caitlin. They had plan to go see friends for an oyster roast, but Tim suggested that they should take a walk together beforehand. He took her a beautiful spot overlooking the James River. Pretending to bend down to tie his shoe, he got down on one knee and pulled out a ring!! He had hidden the ring safely in his sock! Later that evening, the two shared their happy news with close friends at a Friendsgiving celebration! 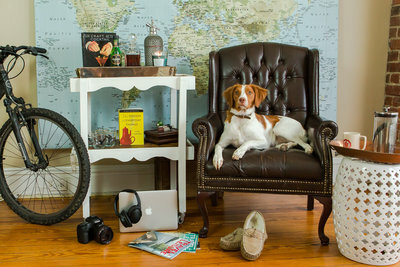 This group of best friends was one of our favorites to photograph this year! Such a caring and fun group of people!! Plus they were up for anything! Like when we suggested a spot to do these Bridal Party portraits just down the road with crazy good mountain views, they all were like YES, let’s do it! When we parked at Bold Rock Cidery we couldn’t see the ceremony spot anywhere! But then peeking through the woods off in the distance, you could see a secluded little area perfect for a ceremony. Guests were in for a heartwarming treat with this he ceremony. A quick walk through a wooded path lead them to this unexpected little oasis with signage that welcomed them along the way. At the end of the wooded path the trees cleared and chairs were lined facing out towards a stream and the mountains. Their vows were AMAZING. Like truly amazing. So many guests were wiping away tears from these heartfelt words. Caitlin read her vows first. Their love for each other is the kind of love I want for every marriage ever. It’s overflowing with hope and with joy!! Ahhh I just love these two so much!! This was the best day!! Tim + Caitlin set aside a TON of portrait time before the ceremony, which allowed them to enjoy cocktail hour with their friends and family. We did a few sunset portraits and then the two of them grabbed a beer and hung out with their favorite people all night long. The decor in the Reception was absolutely GORGEOUS! Succulents, candles, lanterns, and beautiful white and pastel colored florals of all sizes and arrangements filled the tables and room. Caitlin’s vision totally came to life!! Guests are going to be talking about this one for quite some time. The newlyweds surprised everyone with an ENTIRE bar full of different cakes from none other than SHYNDIGZ, which for anyone who likes cake and lives in Richmond, knows that nothing compares to a slice from Shyndigz. Speaking of good food, the couple’s caterer was out of this world good!! Chef T Culinary Concepts was easily some of the best Wedding food we’ve EVER had. I’m still dreaming about those whipped sweet potatoes. Near the end of Caitlin’s First Dance with her Dad, her family joined in one big circle for a few spins! The “Night Years” had guests dancing all night! They were SO good!! On the other side of the dance floor was a fireplace and the S’mores Bar. What you guys have is truly special!! You really bring out the best of everything in each other! Every time I pass Curbside, I’ll think of you two and feel encouraged that risks for love can pay off in big ways. 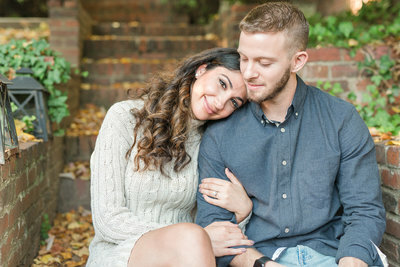 Your marriage is going to be such a light to others, especially those who are cautious…or toughing out long distance.. or even to those who are still figuring out how to find their person post-college. We encourage you both to keep your friends and families close – they are your biggest fans and such wonderful people with your best intentions at heart. I am so excited for you guys!! Marriage is going to pull you two even closer together in ways we can’t wait to see unfold in the future! We love you guys so much!